Whether it's surfing, eating yum seafood or enjoying Ayurvedic massages while listening to the waves crashing on the rocks, Varkala Beach is all that you need to enjoy a seaside holiday. Clear blue waters, a long-winding stretch of cliffs, history, culture and great food - if these things make your heart tingle, Varkala Beach (aka Papanasam Beach) is the place to be. Swing by nice resorts along the cliffside, go surfing at the beach or simply chill with bae at the many romantic spots here. One of the best beaches in Kerala, Varkala beach is known for its natural mineral springs. A dip in this beach is supposed to rid you of all kinds of impurities and sins (hence the name, Papanasam). The cliffside facing the Papanasam Beach is an 80-ft tall wonder made of red laterite that has been declared as a geo-heritage site. Not only is it perfect for sunset views (shutterbugs, take note! ), but you'll also find the cliff dotted with plenty of shacks that play great music while you sit and enjoy chilled, homemade ginger beer and spicy kebabs, and listen to the sound of waves hitting the rocks. That's the life, no? If you're in the mood to shop, there are quaint little markets along the cliff, where you can buy trinkets, Ayurvedic products, clothes and souvenirs at steal-deal prices. If you're going with bae, we recommend checking into the Soul And Surf Resort. Located at the edge of the south cliff, it has spectacular views of the ocean (perfect for the 'Gram!). You can also sign up for their early morning surfing lessons and enjoy midnight movie screenings. Plus, they offer great Ayurvedic massages! 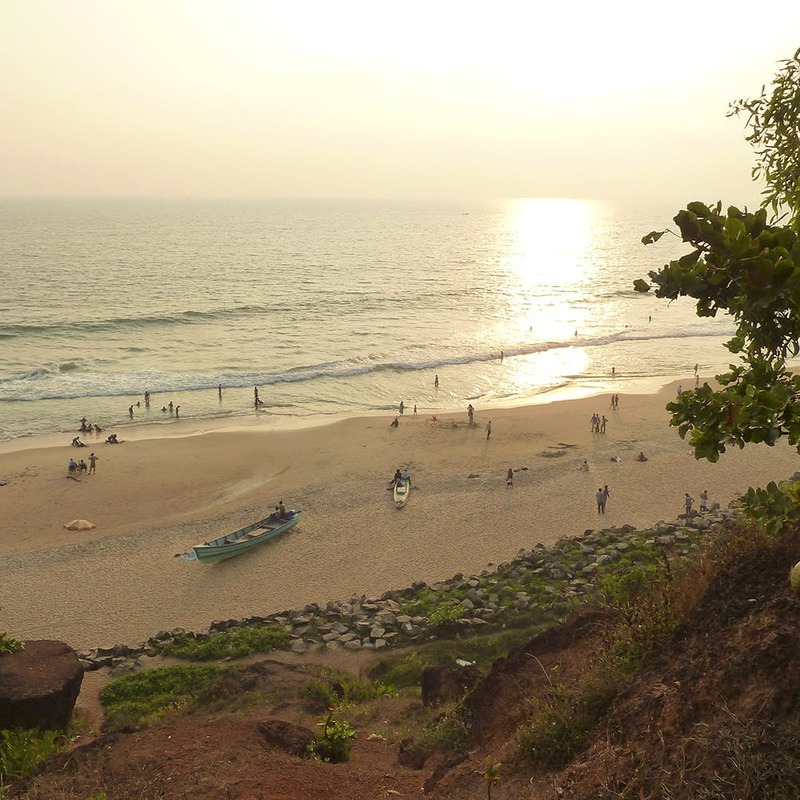 To read about the things to do in Varkala, click here. If Papanasam Beach is too crowded for you, check out the Black Beach (which has black sand), Odayam Beach or Edava Beach where you can unwind and enjoy the serenity of nature.